A Georgia schoolteacher may soon find herself unemployed if the efforts of a local NAACP are successful, according to 13WMAZ. 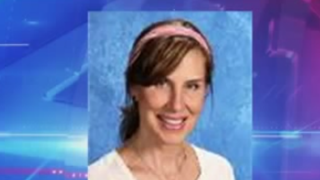 Nancy Perry, a teacher at Dublin Middle School, according to 41NBC, allegedly told her students last month that if their parents voted for President Barack Obama, “they’re evil,” and she doesn’t understand how they could have voted for a Muslim. The Georgia NAACP now wants Perry to be relieved of her teaching duties. Scott said that he called a parent-teacher conference to take up the issue with Perry, 13WMAZ reports. Scott was joined by other parents, and Perry attended the meeting with her husband, Bill Perry, who sits on the Dublin Board of Education. Scott claims that Perry and her husband proceeded to show Scott and other parents some anti-Obama propaganda they’d pulled up on the Internet. “She showed it to me and said, ‘See, Obama is a baby killer. He aborts babies at nine months old as they’re coming through the birth canal,’” Scott said the teacher said at the meeting, according to 13WMAZ. When the Georgia NAACP caught wind of her alleged comments, it brought its concerns to the board and requested that Nancy Perry be terminated. The Georgia NAACP not only asked her husband to sit out the April 13 meeting, given his affiliation with his wife, but also demanded that he resign his post as a member of the board. “We demand that the school district do the right thing, and the right thing would be to demand the resignation of the school board member in question and to accept the resignation of the faculty member,” Francys Johnson, president of the Georgia NAACP, told the board, according to 13WMAZ. Read more at 13WMAZ and 41NBC.